While enjoying an all-you-can-eat meal at Maggiano’s restaurant in honor of my oldest son’s birthday, his wife said, “I feel my fat flourishing.” I laughed and commented on her unusual expression. 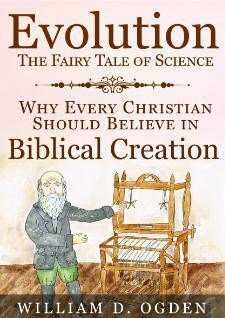 She replied that it was Biblical; she remembered the phrase “fat and flourishing” from her Bible reading. When I questioned it, my son did a search for “fat and flourishing” in the KJV using a Bible app on his smart phone and found the phrase in Psalm 92:14. It does not describe someone’s fat cells flourishing the way my daughter-in-law joked, but “fat and flourishing” is there, used to describe ‘the righteous.’ She thought I should write about it. So Erica, this post is for you. Are you Fat and Flourishing? Those in our weight conscious culture will be happy to know that the “fat” in this passage does not refer to body fat or being obese. On the contrary, the imagery comes from plants and refers to extreme health and vitality. The greater context of this phrase comes from Psalm 92, which begins by singing God’s praise. Then, like Psalm 1, it contrasts the wicked and the righteous. Senseless, foolish people do not know or understand God and His glory (Psalm 92:6). Though the wicked may sprout like grass and their iniquity may flourish for a time, they shall be destroyed forever (Psalm 92:7). The immediate context is found describing the righteous in Psalm 92:12-15. These verses are reminiscent of Psalm 1:1-3 which describe the blessed state of the righteous, as being “like a tree planted by the rivers of water, that bringeth forth his fruit in his season; his leaf also shall not wither; and whatsoever he doeth shall prosper” (Ps 1:3). God blesses His faithful children, so they may bear abundant fruit, thereby demonstrating God’s goodness, power, and trustworthiness (Ps 92:15). 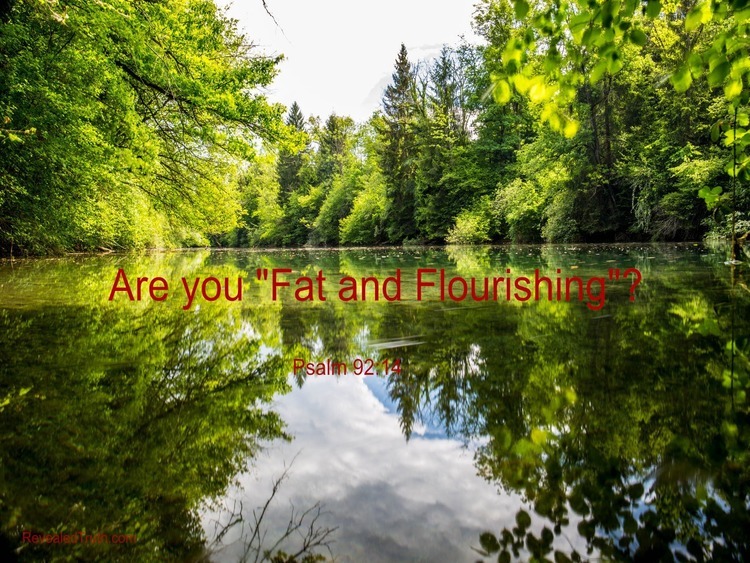 “Fat and flourishing” is found in the King James Bible, but is translated using a variety of words in different English versions, including: “full of sap and green” (ESV), “healthy and green” (HCSB), “luxuriant and green” (ISV), “fat and luxuriant” (LEB), “filled with vitality and have many leaves” (NET), “fresh and green” (NIV), “fresh and flourishing” (NKJV). While the English words may change, they are all based on the same Hebrew, and the meaning is consistent. “FAT” is from the Hebrew word, “dashen” which literally means fat, in the sense of being full of sap or juicy. Figuratively, it refers to abundance, being rich, fertile, prosperous. “FLOURISHING” (rahanawn) in verse 14 means to be green, verdant, fresh, luxuriant, full of leaves, growing profusely. Figuratively, it refers to being prosperous and flourishing. It should be noted that the word, “flourish” is used three times in the Psalm, in verses 7, 12, and 13, as a translation of two different Hebrew words other than the one used for “flourishing” in verse 14. “FLOURISH” (tsuts), used of the wicked in verse 7, means to blossom, shine, sparkle, put forth buds, flourish. “FLOURISH” (parach), used of the righteous in verses 12 & 13, means to break forth as a bud, sprout, blossom/bloom, spread, grow. Figuratively, it means to flourish / thrive. “STILL” (ode) used in verse 14 is worth noting. It has the idea of continuing duration beyond an expected point, all life long. In this verse, “still” is a good translation and is used in most versions. Psalm 92 describes the blessings of the righteous. Like a tree planted by rivers of waters, they shall grow profusely, healthy and strong. And the abundance of their leaves and sap will enable them to be fruitful. The wicked may briefly blossom like beautiful lilies of the field before they are burned as grass (Mt 6:28-30), but the righteous are fruitful and flourish even into old age. The word, “still” in verse 14 is significant. The righteous are filled with the Holy Spirit and keep on abiding in the vine of Jesus Christ. As a result, they remain spiritually alive, vigorous, and fruitful their whole lives, even into old age. These blessings are more than just the natural results of faithfulness. Abundant fruitfulness in the life of a believer glorifies God and accomplishes His will (John 15:1-11). It declares the uprightness of God, by showing His justice and holiness, and it demonstrates His life-giving power. The blessed man of Psalm 1 does not sit, stand, or walk in the way of the ungodly or scornful sinners (Ps 1:1). Instead, he or she delights in the Word of God and meditates on it continually (Ps 1:2). They are like well-watered trees, which remain fruitful, green, and prosperous as a result (Ps 1:3). In the parable of the soils (Matt. 13, Mark 4, and Luke 8), Jesus teaches that when God’s Word grows in good weed-free soil, abundant fruitfulness will result. Those in good soil shun the weeds of greed, worldly worry, and the lusts of life (Mk 4:19). Those on “good ground are they, which in an honest and good heart, having heard the word, keep it, and bring forth fruit with patience” (Luke 8:15). Jesus Christ was, and is, the living Word of God, and in Him is life (John 1:1-14). Spiritual life comes through hearing the Word of God and having faith in His Word (Romans 10:17). 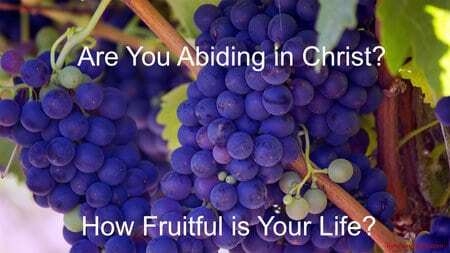 Christians need to abide in the life-giving vine of Jesus and His Word to be fruitful. Grapes broken prematurely from the vine shrivel and die on the ground. The juice and fatness of the grape comes only from their vine. So too, the fruitfulness of Christians comes from their continuing connection to the vine of Jesus Christ and being filled with the life-giving power of His Word and Spirit. Is your spiritual life flourishing and bearing abundant fruit for God? Righteous Christians who are abiding in Christ and continually feeding on His Word will be filled with spiritual vitality and the love of God. They will avoid worldly weeds and wicked ways. Instead they will glorify God and openly declare His goodness, justice, and grace. So what does your life say about you? Are you “fat and flourishing”? Is your spiritual life flourishing and bearing abundant fruit for God? Do you glorify God as a witness to His glory and grace? Are you abiding in the life-giving vine of Jesus Christ and producing an abundance of spiritual fruit? 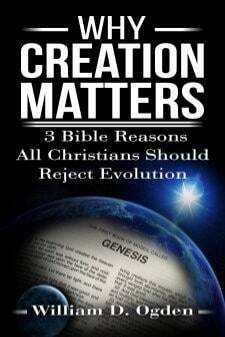 If not, perhaps you have strayed from God’s way. Maybe it is time to repent of worldly waywardness and return to the source of all life. Plant yourself in God’s Word and His ways.